Howdens is a popular name when it comes to contemporary kitchen layouts. What about adding a bit of your own touch in the mix? 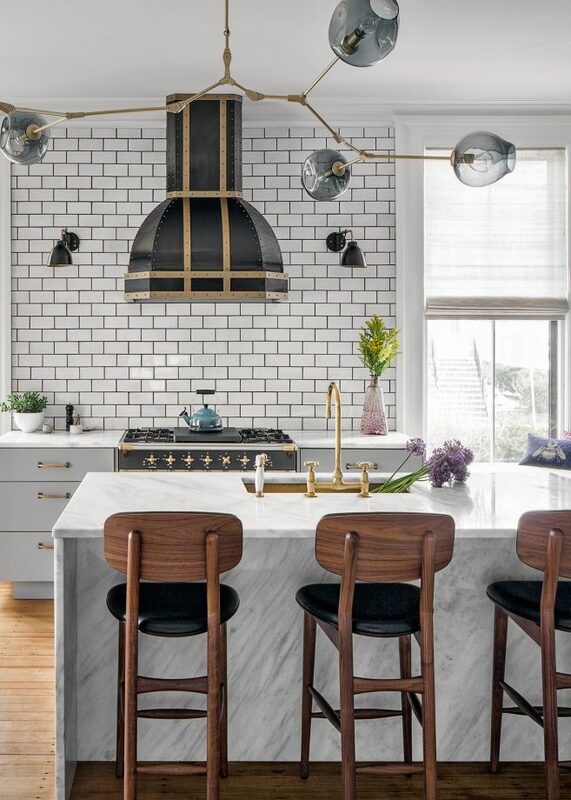 The below points offer a broad classification of a total kitchen setup and their briefing will help you start from scratch. Anybody living in the UK and setting up their kitchen decor must have come across by the name Howdens kitchen. They are the largest British brand, manufacturer and designer of fitted kitchen and furniture products. Howdens provide a vast range of customised service. Many of their clients have their kitchen worktops are enhanced with the granite and quartz worktops from MKW surfaces. This bespoke look adds on to the ultimate setup necessary according to your kitchen space. If you are planning to bring life back to your contemporary kitchen, you can implement some of the modern kitchen layouts provided by Howdens kitchens. It is said that the most successful floor plans are based around a ‘working triangle’; the location of your fridge, hob and sink. In a trendy design, one can also include a Wi-Fi extender and a pop-up socket to make the kitchen more functional. It is basically a multifunctional layout permitting several household activities to take place in the same room. No problem arises, even if you are having a small space, as they often require eliminating an extra wall. You can introduce an island, add a breakfast bar and create a coordinated look by enhancing the flooring and colour scheme. Open layouts are very popular nowadays as they allow you to gather with friends and family whilst you are cooking or working in the room. Whereas in the past, the kitchen was segregated from the rest of the house. This is because in the past, cooking was delegated to cleaners and servants. It has now become apparent that preparing your own food is the best way to guarantee the quality of items that we eat. The three-sided style can be given a trendy look with half-hidden wall units to break the lines. This type of layout maximises the storage and work surface areas which are loved by everyone. It is very popular in reduces spaces and in households with large families. The U-shaped layout allows you to hide all the appliances, utensils and other items within its many drawers and multi-cabinet set up. 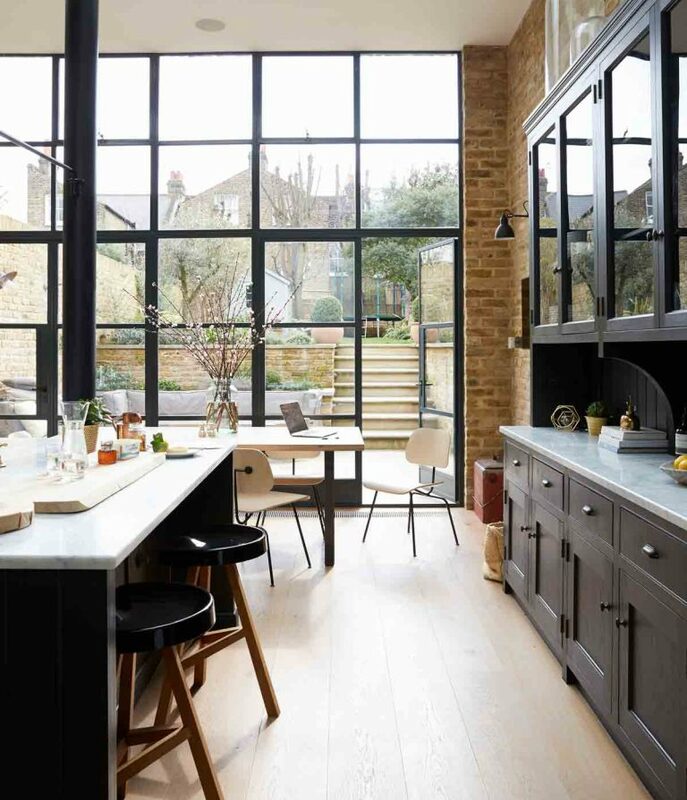 This basically falls under the minimalistic approach, where you will get plenty of space to roam around freely in your kitchen despite doing all the necessary things. Try to put units exceptionally to the floor to bring a contemporary twist to your setup. Since the working areas in a L-shaped kitchen are placed across two places, you would never have to walk too far in the house to prepare a meal. An l-shaped kitchen design will also help in avoiding cluttering whilst ensuring traffic can flow freely in the room. This layout is generally used in smaller spaces to connect the adjacent rooms. Also, it allows you to implement an island and make a work triangle with your sink and oven. Similarly, this layout will allow you to prepare foods and other items practically as the workstations remain opposite to each other. Not only that a Galley kitchen can be functional in small rooms, but it is also very popular in large rooms too. This is because the Galley design will allow you to reach any item and object within a reaching distance, rather than having to walk across to the other side of the room. In addition, a typical galley shaped kitchen will come with lots of room for storing items and appliances. Choosing the best colours among the wide range of options can become a difficult task for anyone. Firstly, one needs to collect ideas before putting a step forward. The natural light and size of your kitchen are the two key factors on which your design is based. Also, areas such as the kitchen wall, splashbacks, worktops/countertops and their colours/textures are dependent. Additionally, you should think about any other space of the room which you will be planning to fill in the future. This will allow you to plan, helping you create a time-proof kitchen design. Coming to cabinet colours, trendy tones such as cashmere can bring a warm feel to your kitchen; and grey too, if you are looking for subtle colours. You can also choose gloss or matt finishes. When it comes to your kitchen worktops and splashbacks, there are colours and textures that are in vogue. White marble or quartz, grey granite or limestone and Concrete/Cement effect materials are in high demand. To bring a contemporary feel to your kitchen go for the wide range seen at Howdens worktops, and get these worktops supplied from a material from the premium selection at MKW Surfaces. Rather than supplying cheap imitation granite planks, the Company sources stone from every corner of the planet. 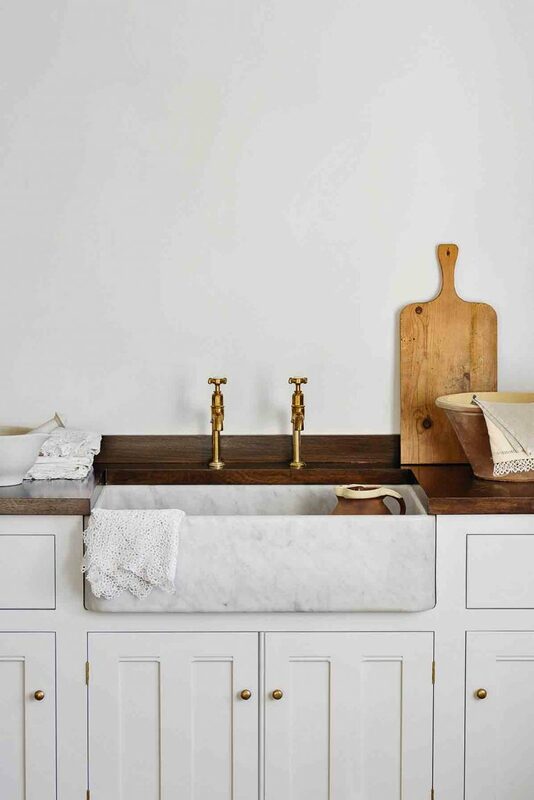 Coupled with boasting the largest natural and engineered stone collection in the UK, there is no doubt you will find the worktop material you have dreamt of. 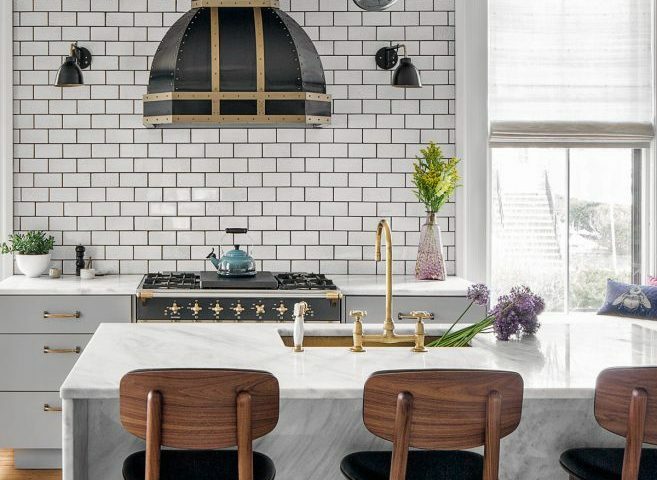 Now you have a brief idea about the steps you need to take to modernize the look of your kitchen. Take the best possible bespoke set up for your kitchen space and make delicious dishes without any tension. 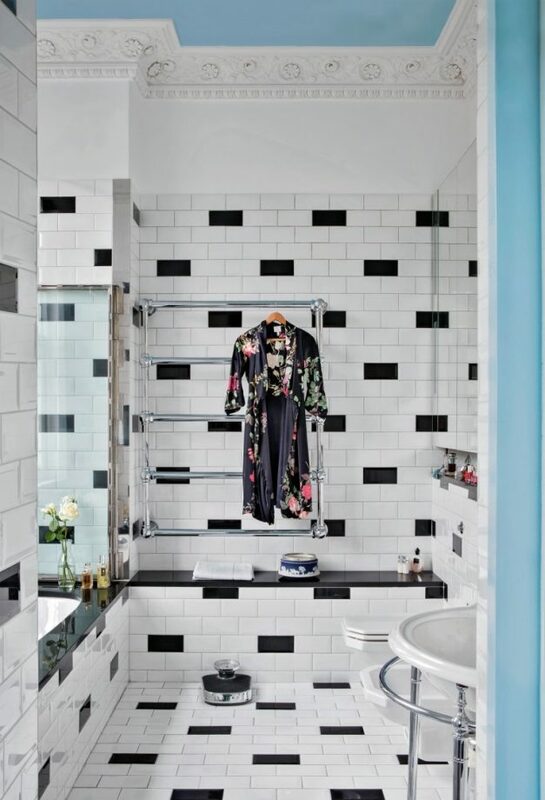 The bathroom can be notoriously difficult to clean, especially in those hard to reach areas around the vanity and toilet, and without the right action, a bathroom can quickly lose its shine. 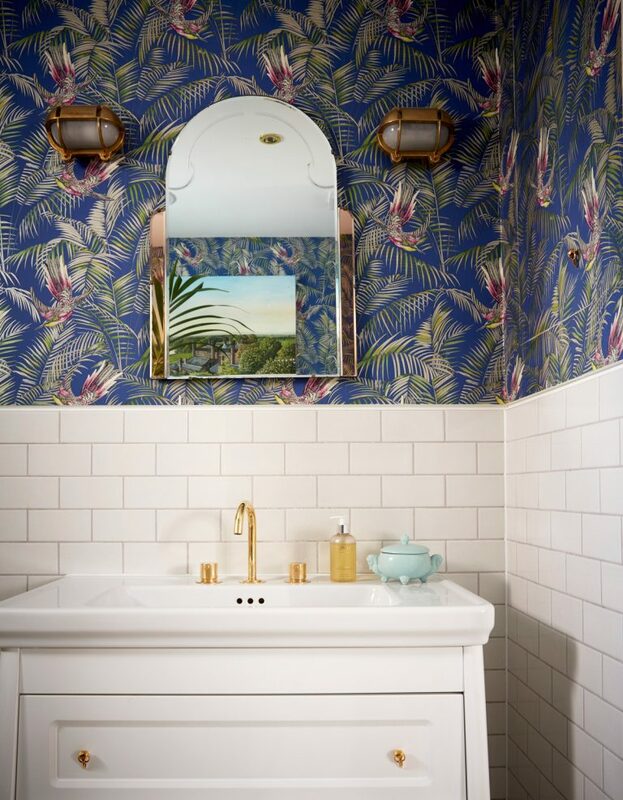 It is important for the bathroom to be kept clean, and even more so when visitors unexpectedly turn up, and if you would like some help in the bathroom cleaning department, here are a few ways to ensure that your bathroom always looks fresh and inviting. Vinegar is a very effective cleaner of both porcelain and chrome – simply fill up a small spray bottle which can be used with a damp cloth to clean all your bathroom surfaces. 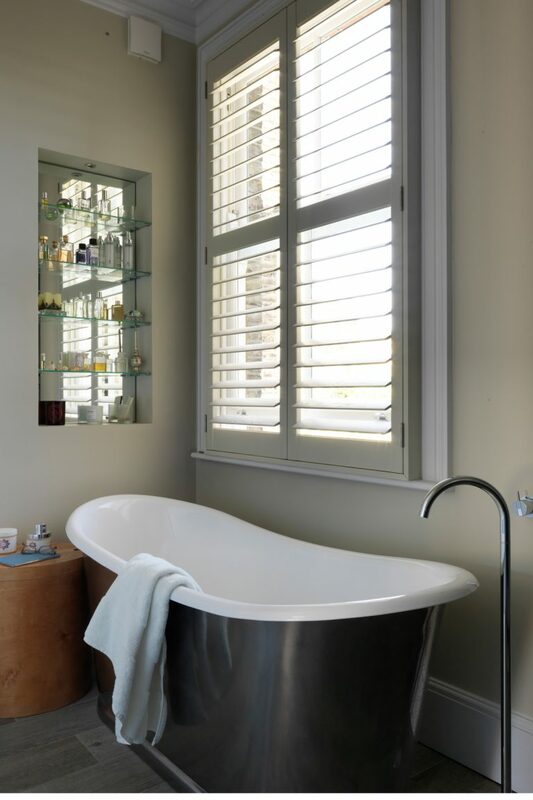 If space is a bit limited and you’re thinking of a bathroom revamp, see these bathroom suites for small bathrooms that are specifically designed for limited space bathrooms. After removing the vinegar, make sure you buff chrome surfaces dry, which will ensure there are no watermarks. If you soak your showerhead in vinegar overnight, it will look like brand new after a good rinse in the morning, and you won’t need to scrub the surfaces with an overnight soak. You probably didn’t know that mixing borax and lemon juice provides a solution that will remove stains from enamel porcelain – simply apply the mixture to the affected area and rub with an abrasive pad (made from plastic) and this should remove stubborn stains. Again, you should buff the surfaces dry before using them, which will bring up a shine that would make any bathroom look great. This handy mixture is also an effective remover of toilet stains, which can be used with your regular toilet brush, flushing with water when finished. This handy tool is a must for the bathroom and should be used to clean bath surfaces and shower screens. While it might not look unsightly to leave tiny droplets of water, this moisture can cause mould to form, which is not something you want to see anywhere in the house. A small squeegee can hang on the inside of the cabinet door and once you get into the habit of using it after each shower or bath, it will soon become second nature. 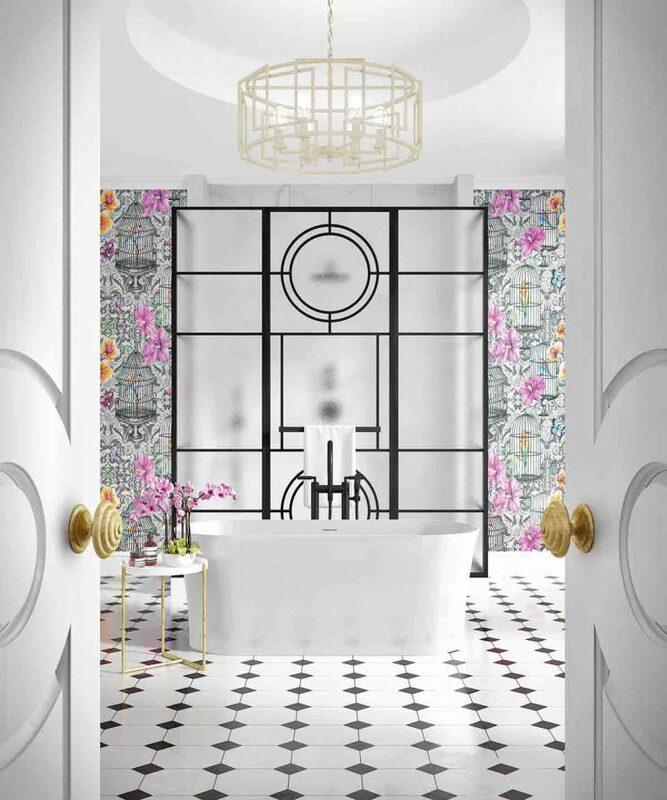 When you decide to renovate the bathroom and are looking at bathroom suites, cleanliness and hygiene should be high on your list of priorities, and some bathroom furniture is easier to clean than others. 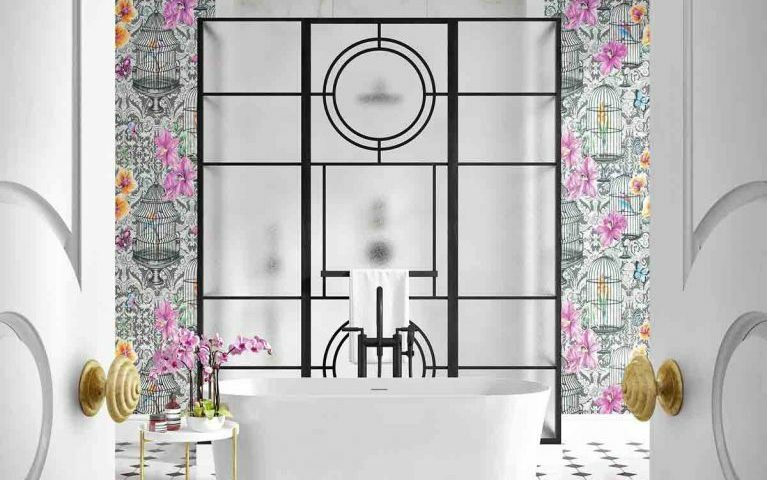 If you would like to view a range of stunning bathroom suites, a Google search will bring up a list of local suppliers, and whether modern or traditional, your bathroom can benefit from a designer brand suite. Ideally, you should set aside one hour per week and dedicate this to giving the bathroom a once over. 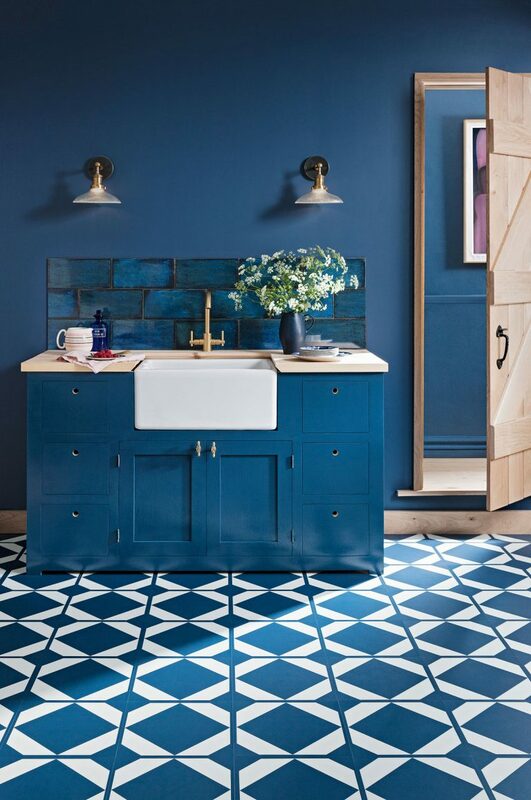 This would involve a ceiling to floor application, and with clever use of the sponge and squeegee, the entire room will take on a sheen of its own. Buy a couple of sweet smelling air fresheners and replace them often, and that’s really all it takes to ensure that your bathroom always looks clean and fresh.